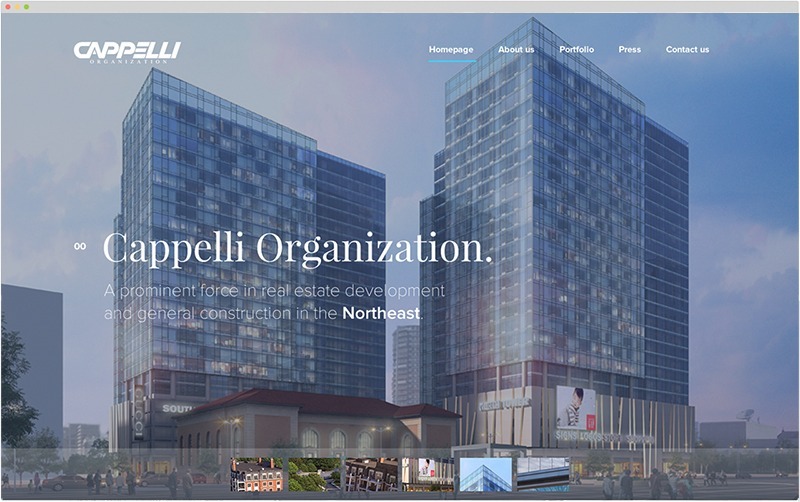 The Cappelli Organization, a prominent player in real estate development and general construction in the Northeast, came to inMotion to redesign and create a new corporate website that would showcase the company’s prestigious developments and range of services. The new Cappelli company website redesign combines highly modern design with elegant functionality and user experience. The website emphasizes Cappelli’s impressive development portfolio and presents key company information and services to their target audience effectively. The completely responsive website comes with a fully integrated CMS (content management system) so it can be updated at any time.